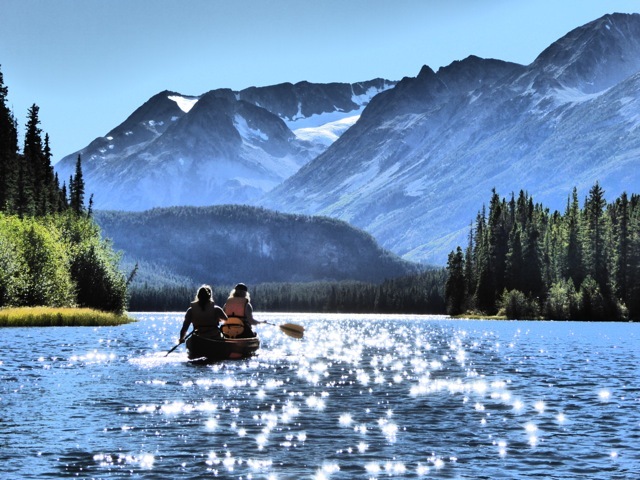 All round adventure featuring remote wilderness hiking, a floatplane flight over the mountains and a luxury wilderness camp, this trip has it all. Our guided backpacking trip takes you from remote Slim Creek to Sky Camp with it’s canvas tents, camp beds, sauna and catered dining before we take a spectacular flight home. This unique trip is a fabulous mix of remote and wild but with an added luxury element at the finish. If you would like to experience real Canadian wilderness but want to carry a relatively lighter pack this is a great opportunity for you. 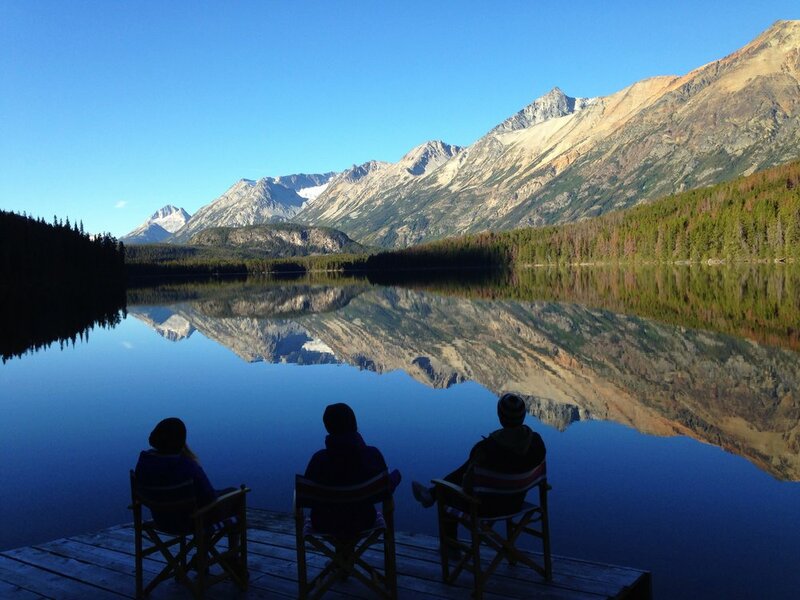 We begin with a four day hike through the South Chilcotin Mountains and end with a stay at a luxury camp. Add to this an amazing flight over the Chilcotins to take us back to our starting point and this really is a special trip. DAY ONE - We depart from Whistler at 11am to drive the scenic but infamous Hurley Road. Here on the dry side of the Coast Mountains we will pass through the small community of Gold Bridge before heading further into the mountains via a logging road in the Slim Creek drainage. Camp will be near the trailhead or an hour or two hike in. 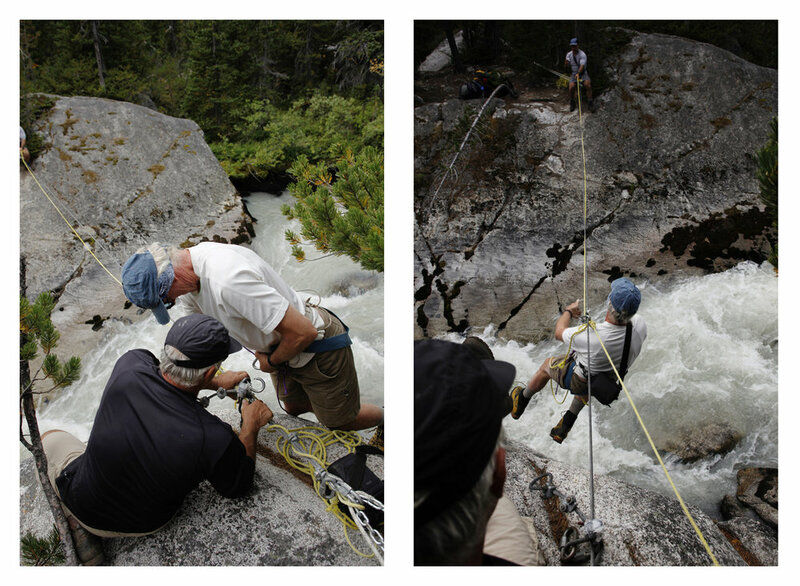 DAY TWO - Our first full day of hiking sees us cross Slim Creek on a cable using climbing harnesses. 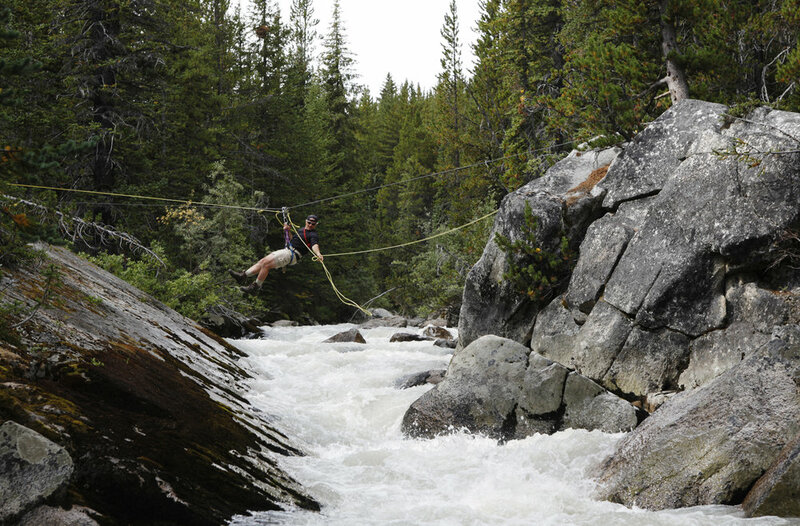 It’s a fun and adventurous way to cross the fast moving waters (see gallery for photos). 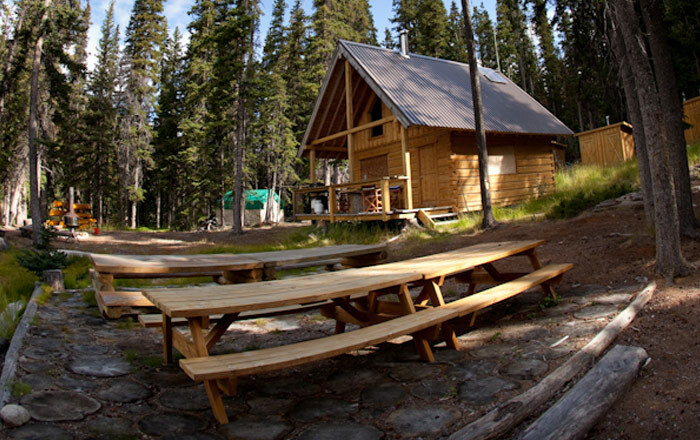 Camp is by the side of a small alpine lake in a wide valley with excellent views on the western edge of the Dickson Range. There will be no light pollution on this trip so imagine what the night sky will look like! DAY THREE - This day is quite tough (but short) as we gain some elevation when we climb through a mountain pass and change valleys. Views open up all around us as we go on to finish our day at a lovely camp by the side of a crystal clear mountain stream. DAY FOUR - Today’s hike takes us up to Griswold Pass over relatively gently sloping terrain but all the time we are off trail so it is necessary to watch our footing and is more tiring than it might at first appear. DAY FIVE - This may be our hardest day as we have some rough and awkward terrain to cross - large boulders and some bushwhacking - as we make our way from Griswold Pass through two marshes to a campsite alongside Duane Creek. DAY SIX - A shorter day of only 5 km mostly on a trail that will take us directly to Sky Camp, our luxury hangout for the next three days. Sky Camp is the most incredible wilderness camp being both remote and luxurious. This is glamping at its finest yet you will be miles from civilisation. DAY SEVEN - A full day at Sky Camp allows you to take advantage of their facilities such as kayaking, canoeing or fishing. If you should choose something more strenuous we can take you up Mt McClure. A more relaxing time might be had swimming, lazing around by the lake and enjoying the sauna and hot showers. DAY EIGHT - Departing Sky Camp after a leisurely breakfast and a last play on the lake, we first take a wonderfully scenic floatplane flight over the Chilcotins back to Tyax Lodge. From there we head by vehicle back over the Hurley Road to Whistler, arriving by late afternoon.